This recipe is definitely an oldie and a goodie. The first time I made these was over 20 years ago when I was a Brownie. We made little boxes of these for our moms for Mother’s Day. (My mom was our troop leader so this is actually her recipe.) These are great for any occasion as individual truffles but you can also have fun with various shapes. 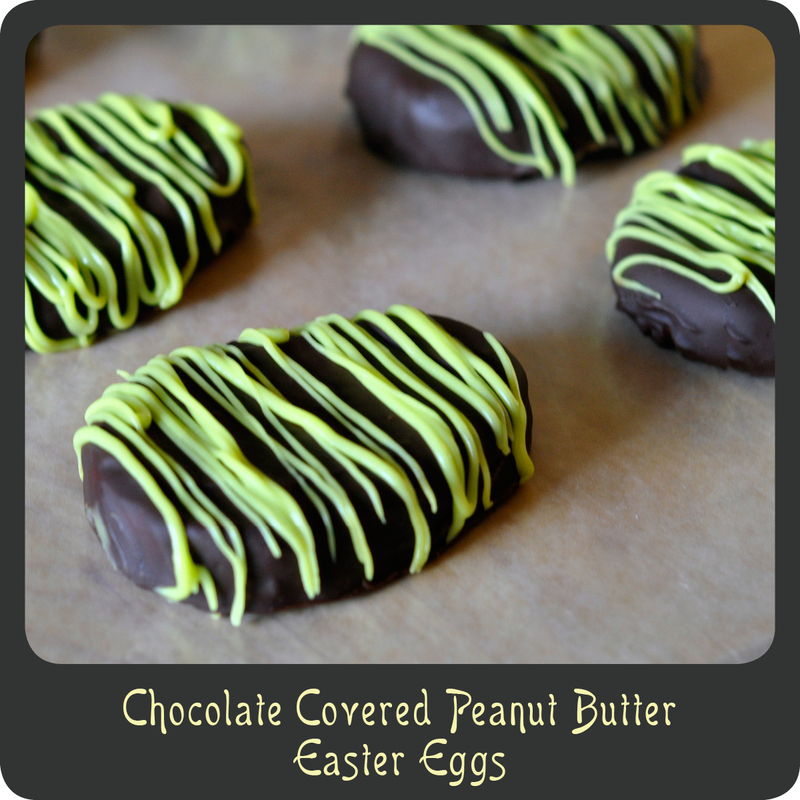 Occasionally on Easter, my mom would make us homemade peanut butter eggs. I actually did that this Easter for my son’s teachers. 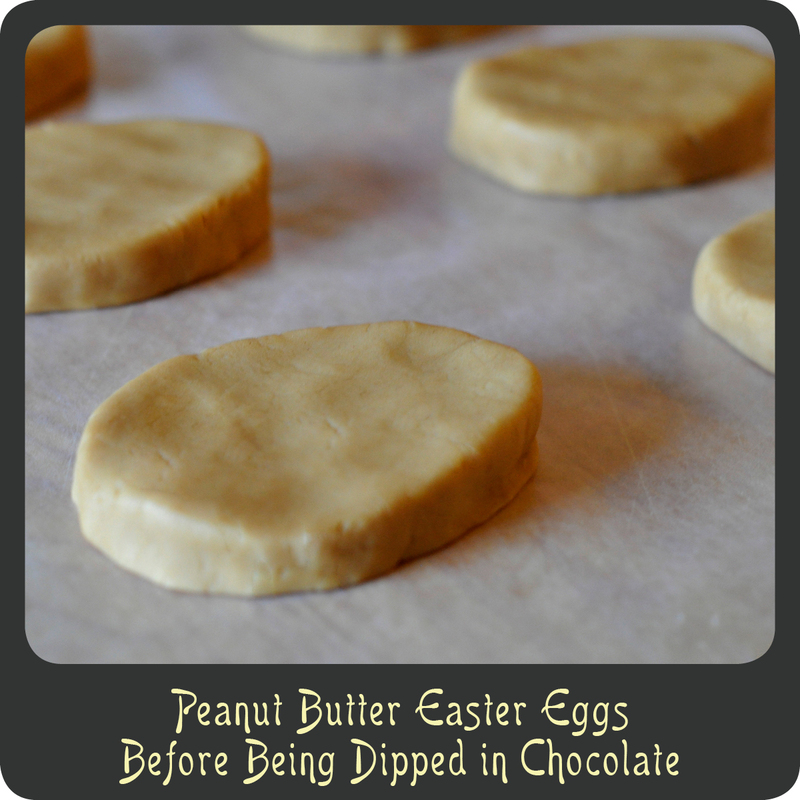 These are super easy to make and they blow Reese’s out of the water! Come on, you know anything with peanut butter and chocolate is going to be delicious. It is a fun and easy recipe to make, so get the kids involved. What kid doesn’t like to get in the kitchen and use their hands? I hope you and your family love these as much as mine. 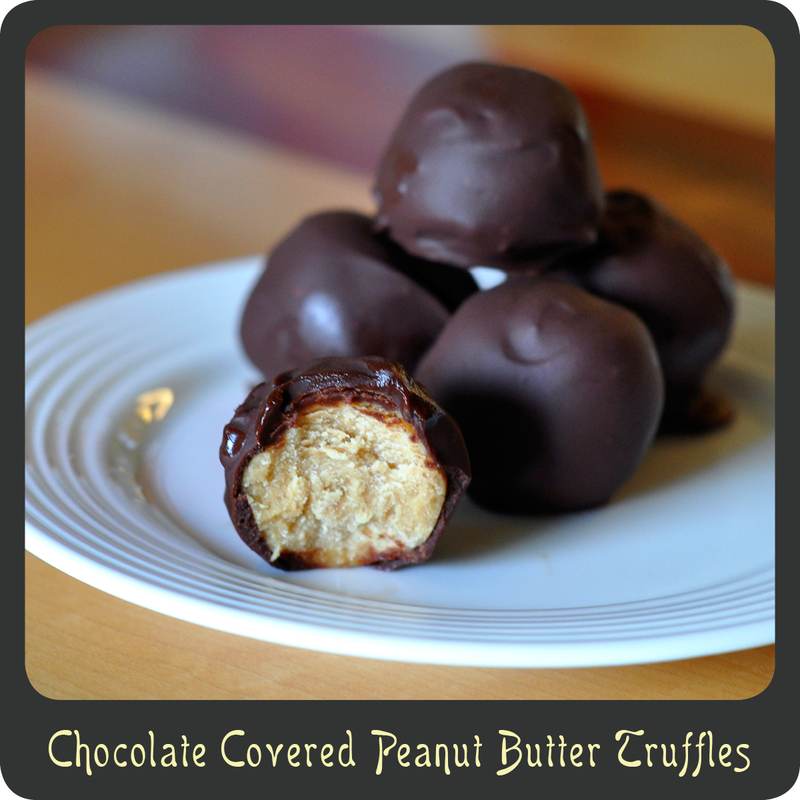 Note: Finished truffles should be stored in the refrigerator or freezer. My hubby thinks they are best when frozen. In a large mixing bowl beat together the peanut butter, 2 tablespoons of the butter, corn syrup, vanilla, and whipping cream until well incorporated. Add the powdered sugar to the bowl, and using your hands mix until everything is completely incorporated. Pinch off bite size pieces and roll into balls. As you finish the balls place them on a wax paper lined baking sheet. Place the baking sheet in the freezer for at least 30 minutes. Once the balls are frozen, in a medium microwave safe bowl combine the chocolate chips, the remaining 2 tablespoons of butter, and 2 tbsp of water. Microwave the chocolate for 1 minute. Remove the chocolate from the microwave and beat with a fork. If there are still chunks, continue microwaving and stirring in 30 second increments. Once your chocolate is smooth allow it to sit on the counter for a minute. Once you have finished dipping all the balls place the baking sheet back in the freezer so that the chocolate can set.